Woodstoves have long been used as a heating source, and it’s easy to see why: wood is an extremely affordable and efficient fuel, and a well-managed woodstove can provide heat to a large area with very little cost. Plus, in some homes, there’s just something so comforting about gathering around a wood fire for warmth. There’s an art to running a woodstove. Here are a few tips we like to share with our customers to help them get the most enjoyment from their firewood. Stone of almost any sort – including brick and concrete as well as natural stonework – is excellent at capturing and radiating heat. If you keep your woodstove near a stone wall, or better yet in a corner formed by two stone walls, they’ll act like heat reflectors and help spread the warmth around the room. 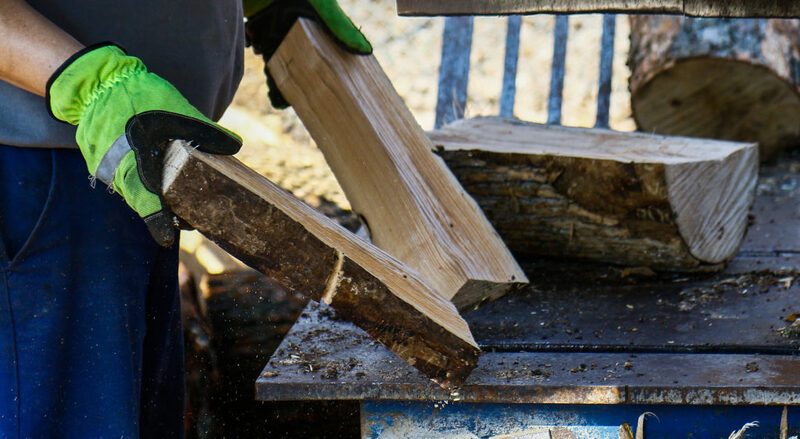 You might be tempted to save even more money by cutting your own wood, if you have a source. However, trying to burn freshly-chopped wood is a bad idea. It’s hard to ignite, and even if you succeed, it’ll produce more smoke than heat. Proper firewood should be seasoned (dried out) for at least 6-12 months. Therefore, most people today choose to buy firewood from reliable sources. Experienced woodstove owners keep more than one type of firewood around, because the type of wood affects the output. Lighter woods – like poplar and pine – burn faster and cooler than heavier woods like oak. In fact, heavy woods can easily over-heat a room, and should be reserved for especially cold days. Yes, lighting a wood fire can be a pain. However, keeping your woodstove burning unattended around-the-clock can cause more problems. This can quickly overheat rooms. Also, if the coals at the bottom are kept smoldering, they’ll produce a lot of smoke. That is unpleasant by itself, but it can also cause buildup of creosote on everything nearby. For Safe High-Quality Firewood, You Want Best Firewood! For over 35 years, stove-owners in the Chicagoland area have turned to Best Firewood and Mulch for all their firewood needs. Our wood is safe, pest-free, and fully seasoned for maximum efficiency and enjoyment. Contact us directly to learn more! Few things can compare to relaxing in front of your very own wood-burning fireplace, particularly during these bitterly cold winter months. By the fireplace is the perfect place to be when the wind is blowing and the snow is swirling. However, fireplaces can potentially be dangerous if they aren’t well-maintained. At Best Firewood & Mulch, we want people throughout Chicago and the surrounding areas to enjoy their fireplaces in safety and comfort. So, we’ve prepared a quick list of the most important safety tips to follow. You might be accustomed to using starters like kerosene to start your outdoor grill, and that’s fine for the outdoors. Indoors, these sorts of starters introduce toxic chemicals – potentially harming yourself, your family or your pets. Likewise, never use painted wood or plywood as a starter, because they’re also full of nasty chemicals you don’t want to burn in your home. If you need a starter, just use newspaper or pine cones. One of the worst things you can do to a fireplace is burning young wood or wood with greater than 20% moisture content. 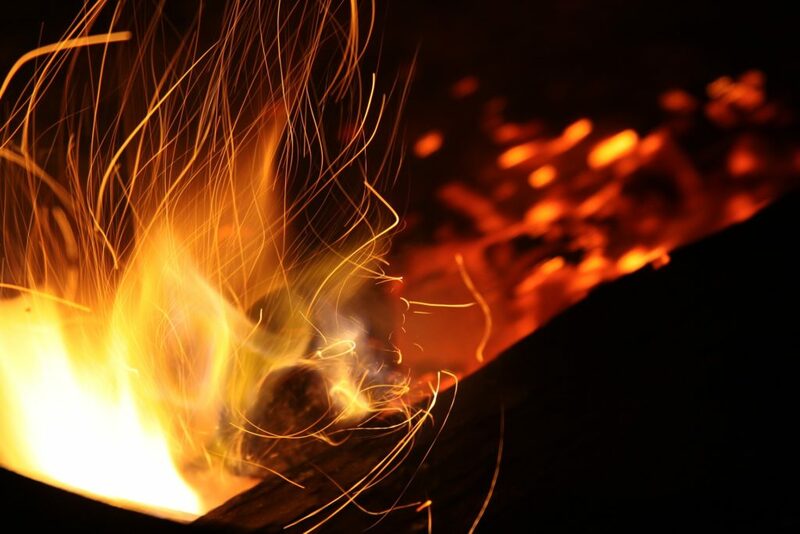 When moist wood burns, it causes a chemical called creosote to be created. Creosote is sticky and extremely flammable. 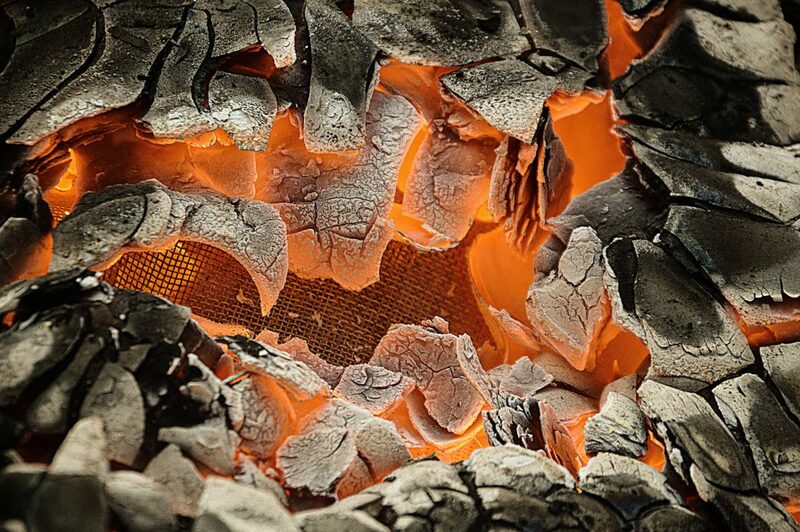 It can build up on the inside of your chimney, eventually creating a genuine fire risk. Always get your firewood from a reputable source that ages and seasons it properly. If you have trees near your home, keep an eye on their branches. If those branches are passing over the top of the chimney, they need to be trimmed back. Otherwise, they could catch fire from the heat coming off your fireplace. This is a particular danger during drier winters. Since 1982, Best Firewood & Mulch has been providing locally-sourced, well-aged and seasoned firewood to homes and businesses throughout the Chicago area! Call us to keep your fireplace happy! In sourcing firewood, it’s important you know exactly where the wood came from to determine its quality and suitability. Our team at Best Firewood and Mulch takes the time to guide clients on the market and to help them choose quality products. With this goal in mind, we’re presenting our guide to choosing a local firewood supplier. One of the mistakes that some homeowners make when buying firewood from a local supplier is not considering the source of the wood. The firewood you buy should be sourced geographically nearby, as well as split on their site. This limits the potential for insects to be spread during transit and means it is exposed to the elements for a shorter time. When you have selected a local firewood supplier, take some time out of your day to visit their supply space and review their processes. You should immediately see the difference between professional companies and those with limited experience in the marketplace. The professional suppliers will be able to provide you with clear information on each piece of wood they provide. They should also be able to answer your questions about the applications for their materials. Firewood can become expensive if you don’t have a clear plan for pricing out your purchase. Make sure you understand the differences between the various quality woods on the marketplace and how the quality differences can impact the price. If you’re unsure about the differences, you can call our team at Best Firewood and Mulch directly for more information. We’d be happy to explain how each wood differs and why you might use specific types of wood for each application. Read more about picking the right firewood here. On some occasions, you might not be happy with the quality of the wood your local firewood supplier provides. In these circumstances, it’s imperative the company has a clear return policy that will allow you to return your wood for a full refund. Find out more about the company’s return policy before investing in their products. Our team at Best Firewood and Mulch is trusted for our understanding of wood products and their value. To learn more about the quality options in our firewood selection, call now. As we move further into Fall, the ideal window for purchasing your Winter firewood is closing! Our Northern Illinois weather is changing, and only getting wetter. Wet ground, wet air, and rainfall are all less than optimal for firewood storage. While we offer our firewood delivery and stacking service year-round, it can become more costly once the ice and snow inevitably arrive. Winter weather and snow on the ground means it’s more difficult and time-consuming to properly stack and store your firewood to keep it in the best condition for burning. Save time and money by having firewood delivered and stacked before the temperatures drop and the snow flies! While all of our products are seasoned, firewood will only improve with more time to dry. It’s important to be prepared and have your well-seasoned firewood supply before you need it for the essential task of heating your home. Read our article about how and why to store firewood outdoors. Plus, our stock of specialty woods like Cherry, Oak, and Birch won’t last. We have a limited supply of this firewood and it sells out quickly! Don’t miss your chance to purchase enough to get you through our harsh Chicago winters. We know firewood! Best Firewood and Mulch has been serving top-quality hardwood firewood and mulch products to Aurora, Batavia, Geneva, St. Charles, Elgin, Naperville and the greater Chicago area over 35 years. Trust us when we say it’s time to call us (630-851-3062) or click through to order your premium firewood! Want to Experience True Delight When You Make a Fire? Imagine coming home on a cold winter evening, stacking up wood in your fireplace, striking a match and having the experience of a cozy crackling fire to enjoy… Or waking up in the morning, stoking the wood stove or the outdoor wood furnace and appreciating the natural warmth of your home that only a roaring fire can bring. What you want in a fire determines the type of firewood you choose, so make sure you pick the right wood. The denser the wood, the more wood fiber it has. And the longer your fire will last and the less wood you use. This is why hardwoods, like oak, cherry, hickory, and maple are best for long-burning fires. Softwoods, like pine and softer hardwoods— poplar and alder—are less dense and are best for starting fires (kindling), for fires in a backyard fire pit, or a crackling fire in your fireplace. At Best Firewood and Mulch, we provide a special mix for fire pits and fireplaces consisting of mostly maple and birch. It’s perfect for an evening fire to warm your soul after a hard day’s work or play. This mix burns with the crackling and glow you expect in a fire. This type of fire is perfect for family activities like playing games around the fireplace on chilly evenings or making s’mores. If you use wood to heat your home or to cook with, we suggest firewood that puts out tons of heat and burns longer. Use our straight oak or an oak/hickory or oak/cherry mix if you want to add scent to your fire or flavor to your food. At Best, we season all of our hardwoods and split it ourselves. We’ll come and stack it correctly for you and give you suggestions on how to care for it. That means less work for you and more time to delight in all the fires of your life! Best Firewood and Mulch has been serving top-quality hardwood and firewood products to Aurora, Batavia, Geneva, St. Charles, Elgin, Naperville and the greater Chicago area for over 35 years. Make sure to call us or order online now, so you can enjoy the BEST fires in the cooler weather sure to come! Although it doesn’t feel like Fall just yet, we’re already at the best time of the year to order your Winter’s supply of firewood. You’ve probably already seen Halloween decorations in the stores — it’s time to get ready for colder months! We always recommend getting this seasonal task done right now, before the temperatures drop and snow is in the air — and on the ground. Avoid the coming elements and be prepared. 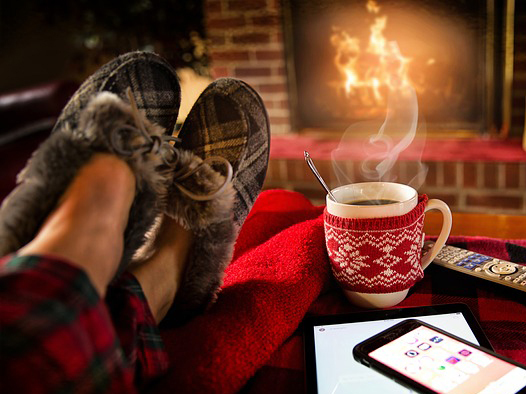 Then relax, because your stove or fireplace will be filled and cozy all Winter! Best Firewood and Mulch is located in Aurora, Illinois, where we’ve given top-quality service— including hardwood firewood and mulch for sale to homeowners and other customers in DeKalb, DuPage, Will, Kendall, and Kane counties— for over 35 years. While all of the firewood Best Firewood and Mulch sells has been seasoned, firewood still benefits from being correctly stacked and stored while waiting for use. Let us stack your firewood order! For an additional charge, we’ll stack your firewood delivery at a ground level location. But whether you’ve ordered stacking or are stacking firewood yourself, here are helpful tips for placement and protection of your firewood. Why should I stack firewood outdoors? During cold months, a small supply of firewood (2-3 days’ worth) should be brought inside to dry and warm before being added to a fire. This keeps the fire’s heat consistent and efficient. However, most of us don’t have the space or the shelter to house more firewood than that. It’s safer and cleaner to properly store firewood outdoors, as this allows the wood to continue to season effectively. It also reduces the risk of pests like spiders or ants hitching a ride into your home. Where should I stack firewood outdoors? The location of your future stack of firewood is important! Consider how much firewood you’ll be using during cold and snowy months, because that will determine how often you’ll be trekking out into the elements to haul more inside. How convenient will that be? Will you be carrying wood yourself, or using a wheelbarrow? Do you have a clear, easy path from your firewood stack to your stove or fireplace? Avoid choosing low spots outdoors, where rain or runoff tends to puddle. How should I stack firewood outdoors? Firewood should never be stacked directly on the ground, especially on soil. Stacked firewood must be elevated a few inches to maintain air flow and discourage mold and rot. Metal log racks in various lengths can be purchased. These include end supports for your stack as well, and can give your firewood stack a tidy appearance while keeping it off the ground. These can be a great solution for smaller amounts of firewood, like a half or single face cords. However, wooden pallets or boards laid on the ground work just as well. Wooden posts or T-posts can be used to brace the ends of a stack. Otherwise, taper down the height of the stack at the ends to avoid falls. If your firewood is stacked against a structure, leave a few inches between it and the wall for more air circulation. Also leave space between two stacks if they are side by side. Should I cover firewood outdoors? Stack firewood bark side down if it needs to continue to dry and season. At the top of the stack, if it is not otherwise covered, stack a layer that is bark side up to offer more protection. Stacking firewood beneath an overhang is ideal. Otherwise, cover the top of your stack with a pre-made firewood cover (available for many purchased log racks) or simply with a tarp, weighted down with another piece of firewood at the edges. Don’t cover the sides of your firewood stack! Too much cover traps moisture in the wood, increasing the possibility of mold and creating a cozy potential home for pests. Air circulation is more important than being completely covered from rain or snow. We not only deliver premium, seasoned firewood, we can stack your firewood order! Call us or order firewood online. Best Firewood and Mulch has been serving top-quality hardwood firewood and mulch products to Aurora, Batavia, Geneva, St. Charles, Elgin, Naperville and the greater Chicago area over 35 years.